Directions: Take I-75 to exit 205 and travel east four miles (toward Myakka River State Park). Sarasota National Cemetery is on the right. 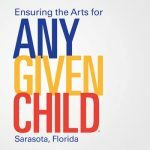 Additional questions: Contact education@sarasotaarts.org or 941-365-5118, x 301.